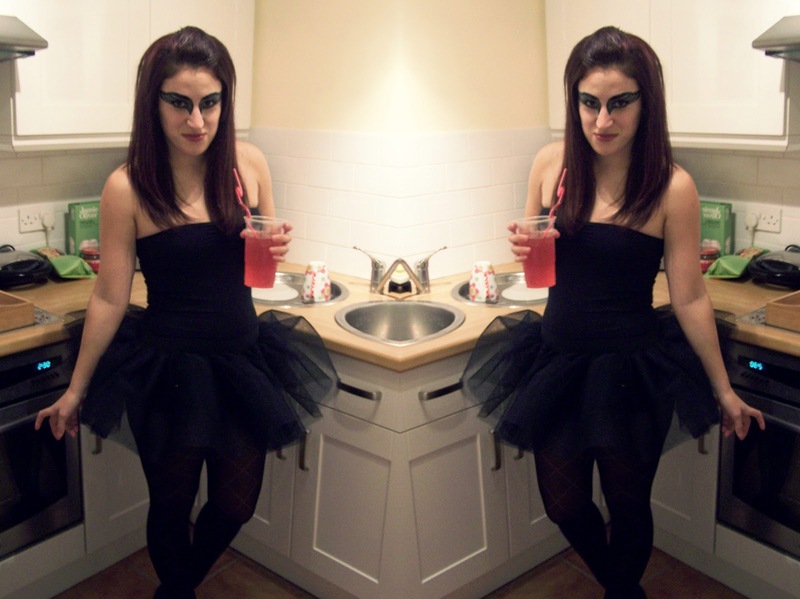 BLACK SWAN: Tutu: Ebay. Leotard: American Apparel. Tights: New Look. Happy New Year to you all! So I'm funnily enough NOT dying today.. possibly because I puked and died at 11pm, then got back on it after midnight! Great way right? Had such a good night, and the party was a success, everyone was wasted.. too much vodka jelly, party poppers, dirty pints and of course champagne! Obviously, my face is covered in makeup! Thanks to Snoop for the eye makeup! First time actually wearing makeup, and my face is covered. Let's just say I didn't sit still.. and how do you girls manage eye liner under your eyes? MAN I had to be pinned down! And after taking it off (amazingly before bed!) my face was burning! But totally worth it! Hope you all had a good night, and got extremely merry and took many millions of photos. I certainly did.. So I shall leave you to snooze whilst looking at these!